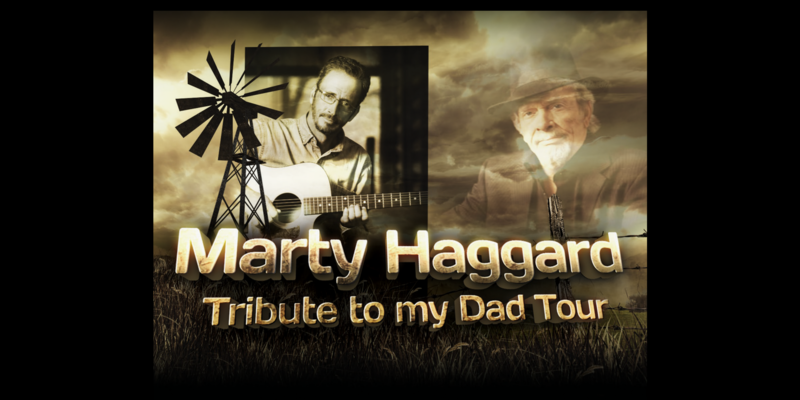 Join Marty Haggard, the oldest son of the legendary Merle Haggard, as he pays tribute to his dad through stories and songs. Marty calls his dad the greatest singer/songwriter in music history. Marty will share stories of the past, while growing up by his dad's side as he was writing and recording these great country music songs. Marty will also share a few of his original songs. Marty has had his own accomplished career, performing country music for forty years, but his love for his dad's music inspired him to begin a tribute show to his dad, which he began performing in Branson, Missouri in 2010 before taking the show on the road. Step back in time and learn a little more about the life of Merle Haggard by someone who knew him best. Enjoy an evening of REAL country music, Haggard style! As Marty says, "This is not an impersonation of my dad. I'm not him, I'm his son. If I sound like 'em, I can't help it. If I don't sound like 'em, I can't help it. One thing my dad always told me was to just be myself, and I can do that." Marty will be available after the show to meet, greet and sign autographs.